There are several communities in the Empire, known as Guilds. 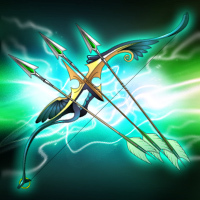 The guilds' purpose is to diversify gaming process of the characters and to enhance the efficiency of their actions. Hunters’ guild is a foundation that protects the Empire's lands from neutral creatures' attacks. According to the scouting reports, they can be spotted all over the global continent map. Besides improving your combat characteristics, facing neutral creatures can also grant you additional income as captured gold and artifacts. Challenging neutrals is possible once in 40 min. Passing by the neutrals or moving to another location while having neutrals on track brings up another ones in half that interval. Also, hunting during the nighttime period of 00:00~08:00 server time allows hunting twice more often. A lord can ask for assistance in hunting after getting level 2 in the guild. The assistant must be present in the same region, and be either of the same combat level, one or two levels lower than the main hunter. In case of victory, the assistant gets half the gold and resources, gains 0.1 hunt points, up to 0.5 faction skill points, full experience and has a chance to find an artifact. The combat initiator will get the amount of hunt points proportional to damage dealt during the hunt, and the other half of the gold and resources. With the hunt points amount increased, numbers of neutral creatures on the map grows, too, as well as treasures, guarded by them, and artifact value. For example, after getting level 3 in hunters’ guild you will be able to find some resources in addition to gold. 4) Your character must have a minimal amount of troops recruited in the army. Hunters should take to consideration, that three quarters of mana used in hunt will be immediately restored after finishing it. The guild has its own top rating list. Details. When sending his or her workers to production works, your character gets special skill points that make count of the laborers' guild. The efficiency of any industrial facility depends for that reason directly on the professionalism of its workers, while their wage is multiplied by a certain coefficient. The laborer skill is displayed at the character information page, and the guild point table can be found in the corresponding section of this help section. Anytime a character dispatches his or her workers to facilities 10 time in a row since the last victorious combat, workaholic penalty is enabled. Every next workshift leads to 20% efficiency drop down to 10% efficiency. Efficiency is restored in full only if the character gets at least 0.5 faction skill points in a victorious combat. Otherwise, the counter of workshifts is diminished only in proportion to received faction skill points. 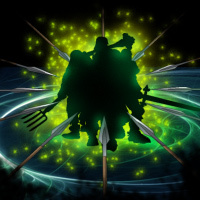 Besides increasing wage, the laborers' guild will also increase the defense skill of your character. Every even Guild level increases his or her defense by 1. Every mercenary has a certain reputation in the guild, it affects the frequency of quest offers. Successful quests increase the guilds loyalty, while rejecting the quests or failing them decreases your reputation. Note that it is much harder to gain the guild's trust, than to lose it. The amount of guild points necessary for leveling up can be learned from the experience tables. This is a clandestine guild, your character does not have free access to it since registration. Combat level 6 is required to enter the guild. The invitation parchment disappears from the inventory; however, a progressive thief gets new ones after reaching level 5 of the guild. 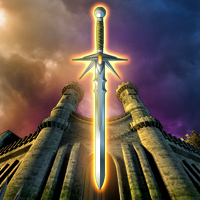 Players who had previously received the TGI at Guild level 2 by the old rules, will not be given one at Guild level 5. Lords gain guild points for successful ambushes. Besides that, defeating other players and mob caravans earns gold. The loot is proportional to the thief skill level. Equally with caravans, it is possible to encounter player characters of the same combat level. The ambushes are set between regions in both directions. Ambush can only occur if someone walks between those regions. However, the traveler always has a chance to pass unspotted. If two travelers are walking in the same direction and both get caught, all the three will fight in one combat. Obviously, the victims would unite against their aggressor. 4) During ambush, the troops and mana restoration of the victim does not cease, the necromancers' skeleton reserve does not diminish and won't be reset after combat. 5) Any thief who had abandoned the Guild may return by paying a penalty of 1000*[combat level] gold. 6) Characters may have the initiative bonus only from the guild that is currently active. Each new level in thieves’ guild grants its member initiative increase, as well as one random Thief set artifact until guild level 7, or one random Plunderer set artifact since guild level 8. Note that the initiative bonus is only applicable whilst you are an active guild member, it never stacks with initiative earned with the Rangers’ guild. 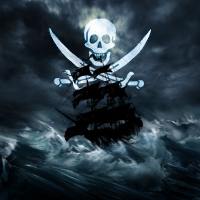 An honorary organization founded to combat the atrocities of the Thieves' Guild on the Empire’s travel and trade routes. The main objective of the guild is to promptly identify where thieves lie in ambush and quickly eliminate the detected threats, so that over time, robbery and burglary is eliminated in the lands of the Empire once and for all. Joining the ranks of the brave Rangers is possible for any lord or lady who has reached combat level 7 and entrance is absolutely free. To join, one will need to visit the guild headquarters at Empire Capital and pass the test of a military ranger-teacher, in which he teaches the applicant the rudiments of Ranger skills. The guild door is open even for repentant thieves, but to prove their loyalty, former thieves will have to renounce all Thieves' guild privileges, including freezing the extra initiative they earned during their days of crime. attack (independent attack mode, applicable if either of the first two commands were used afore). 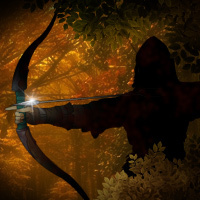 There is also a chance to fall into an ambush of a thief player whose combat level is the same as the Ranger's. Guild points may also be gained by successfully defeating a thief in the ambush, but for that, one must have joined the guild (passed the entrance test) and it should be selected active (not the Thieves' guild). 3) The thief who has been defeated by the Ranger suffers a 1 hour penalty before being able to ambush again. 4) Any ranger who had abandoned the Guild may return by paying a penalty of 1000*[combat level] gold. 5) Characters may have the initiative bonus only from the guild that is currently active. Each new level in rangers’ guild grants its member initiative increase; certain levels will also earn a random Ranger set artifact. Note that the initiative bonus is only applicable whilst you are an active guild member, it never stacks with initiative earned with the Thieves’ guild. 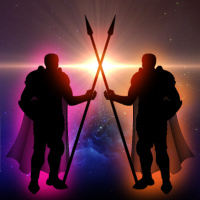 Commanders' Guild is for those who prefer PvP (player versus player) combat. To participate, click Battles in the main menu and select the Commanders' Guild item in the dropdown. 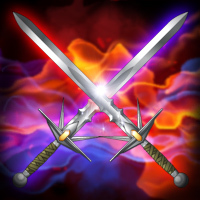 Unlike regular group battles and duels, combat in this guild follows stricter rules. First, you must reach combat level 9 or higher to be eligible to join the guild. You’ll also need to pass a trial, in which you must defeat a mirror image of your own army and character, only 20% larger. 1. Duels (1x1) between players of the same combat level. 2. Paired (2x2) battles between players of different combat levels. 3. Mixed (up to 3x3) group battles. Guild battles start once every 30 minutes; challenges are accepted between 20 and 30 minutes and between 50 and 00 minutes on the hour. When fighting Duels, you will not be matched against the same opponent more than twice a day. If no suitable duel opponent is found for you 1 minute before battles start, you may switch to mixed group battles instead. When matching challengers with each other, priority is given to paired 2x2 battles between same or almost same combat levels. For example, two players of CL 15 and 14 CL will be matched up against two other players of CL 15 and 14 if possible, and so on. Only after all such matchups are exhausted do challenges enter the Mixed draw. If you select a specific partner before battles start, you will be automatically entered into the Mixed draw. Not all challengers are guaranteed to get a match every time. 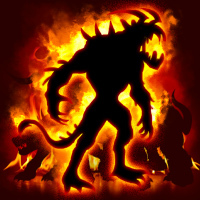 The winning team receives from 1 to 1.5 guild points, depending on the combat type and the number of players, and a chance to get a creature armament. The losing team receives from 0.2 to 0.3 guild points. Commanders' Guild battles offer a far better ratio of faction skill points to experience than do regular group battles. In addition, each new guild level grants you one special artifact out of the 13 that make up the Commander’s set. Also, after reaching guild level 1, you get a chance to loot one of the defeated player' artifacts (the looted item is a low-durability, non-transferable replica of the one worn by the defeated player) in PvP battles. The chance of this increases with each new guild level you attain. The guild unites all admirers of the "Two Towers" card game. Any player can have a game at the tavern of the region he or she is currently in. Victory grants one guild point, losers go empty-handed. After receiving the first level in the guild, as well as 3d combat level, the players gain a possibility to bet on their victories. The amount of victories necessary for passing to a new level and the maximal stake amount for your current level can be learned from the experience table. Taverns in different regions have different starting and victory conditions, as seen in the following table. 3) It is not necessary to be in the same region the challenger is to accept his or her challenge. Insults and foul language at the game table are forbidden. Moderators watch the taverns and keep order, giving penalties to tempestuous visitors. To enter this guild, you should get to combat level 6 and build a Blacksmith in your castle. Enter it and open the "repair" section and you will be able to repair worn out artifacts. Any artifact with durability 0/X can be repaired. Repairing efficiency depends on the guild level and varies from 10% to 90%. 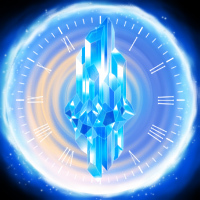 For instance, the guild novice will repair artifacts with 10% efficiency, which means, that a worn out artifact of 0/30 will have 3/29 durability after repairing, while an experienced blacksmith with 60% efficiency would turn the same item to 18/29 durability. Repair cost with any efficiency makes 95% of the converted shop artifact cost (according to the prices of the shop), and is even higher for rare set artifacts, while the best available repair efficiency is 90% at most. The guild warns that smithing is an art, and usually leads to spending a lot of gold to build up an effective smith. Rare or enchanted artifacts cannot be bought at the shop, repairing them is the main function of a smith. Smiths who have achieved guild level 8 and belong to a Military clan that has built a depository may gain access to repairing clan artifacts deposited for repairing at the cost of depository account gold. The artifact must not be deposited in a set to be able to repair it. The clan leader may set an automatic reward for guild smiths ranging from 1 to 10% repair cost. 3) Repairing two artifacts at a time is not possible, moreover, you need to reach guild level 9 to be able to do two types of works in your blacksmith (repairing and enchanting) at the same time. The amount of guild points necessary for "smithing up" can be learned from the experience tables. Founded by the Great Craftsman's apprentices, the guild allows the characters to create their own personal ammunition parts. Almost any known artifact can be modified, gaining new magical properties after enchanting. Modifying takes place in your blacksmith that cannot be built before combat level 6. Rare elements, received in the Mercenaries’ guild or bought at the market, are used in the enchanting process. There are three subdivisions of the guild called branches. Every guild member can be a weaponsmith, armorer and/or jewelcrafter. The power of lord's modifying depends on the corresponding branch level. Any improvement requires time and elements. The guild points gained from a modification equal to the amount of spent elements. These points are added to both the subdivision level and the common guild level counts. Every apprentice must decide, whether to be a skilled enchanter in one branch or to be able to enchant a little bit of everything. Up to 5 different modification types can be set on every artifact. This amount depends on the enchanter's guild level. To enable the setting of 5th enchantment on any item, 10 Fern flower elements must be used. For advertising purpose, the enchanter can mark an artifact he worked at with his or her personal brand (for extra 5000 gold). After modifying an artifact, a special marking is added to its name and the image of the artifact displays related symbols. In combat you can see the effect from modified artifacts by Ctrl+double clicking the character image. Building the blacksmith is required to enter the guild. It can be built by characters who reached combat level 6. Upon reaching guild level 5, it becomes possible to use both sections of the blacksmith at the same time, allowing you to repair items even when enchanting is in progress. The amount of guild points necessary for climbing the guild level stairs can be seen in the experience tables. Ancient tales of a secretive guild of watchmen that would defend the Empire lands from its numerous enemies long before every other guild appeared were passed from generation to generation, from dynasty to dynasty. 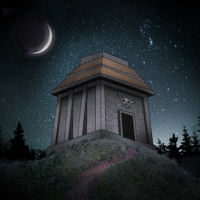 The watchmen would defend the Empire with a shield unseen, fighting the invaders, punishing the villains, guarding ancient relics and protecting magical leylines. At times, woeful events would disturb the relevant calm in the Empire, forcing the nobility to take arms to defend their land as it would seem that the saving hand of the guild had vanished. But over time things would resume their normal course. Many Heroes of the Empire, as well as Lords and Ladies later on, sought to discover the guild's location and the watchmen themselves, but the latter waited for the fateful hour. They knew that eventually times of great disturbance would come and the Empire would appear under too much tension. And that then, only the most prominent of the heroes and lords would have to be accepted among the ranks of the veteran Watchmen. 3. Watchers' Guild may be accessed via the link, as well as in the top right corner of the map. Uniting avid adventurers and thrill seekers, this guild awards guild points for completing Battle Campaigns. Battle Campaigns offer intriguing adventures on graphic minimaps in which you wage battle, collect valuable items and interact with story characters. Unlike quest missions, campaigns battles feature opponents whose armies and stats generally match yours in strength, meaning that you can complete each campaign multiple times with different factions for new and exciting experiences. 1) Each campaign comes in three possible difficulty levels: "Recruit", "Combatant" и "Hero". The Hero level unlocks after you successfully complete a campaign on the Combatant level. 2) For the first time you successfully complete a campaign on each difficulty level (using a particular faction and class), you will receive a valuable reward depending on the chosen difficulty. Rewards may include diamonds, estate certificates (100 are needed to claim an estate), gold, resources, artifacts and/or creature armaments. 3) You can fight campaign battles wearing any artifacts, but enchantments and tavern drinks have NO effect. 4) Experience points and faction skill points for campaign battles won are awarded only for the first time you play a campaign on a given combat level, with a given faction and class, on each difficulty level. If you happen to lose the same campaign battle several times, you will only receive (partial) experience and skill points for the first loss. 5) When you replay a campaign with a different faction or class, you will face different enemies. All battles are known to be winnable. 6) Similar to the Watchers' Guild, your performance in campaign battles is evaluated based on how much of your army survives. The highest possible result may be attained only by winning all of the available battles in a campaign. 7) If you attempt and lose the same battle three times or more, the enemy’s army will be weakened, but an eventual victory will only earn you the minimum score. 8) The guild maintains rankings per combat level, taking into account all of a player’s campaign completions, including all the factions and classes used. 9) Potion of Skill is effective when fighting campaign battles, based on the average faction skill level of players at your combat level. Example: You complete Finding the Healer as a 15 CL Elf on medium (Combatant) difficulty.Your efficiency rate is 90%. For this you earn 100 * 0.9 = 90 Adventurers’ Guild points. Next, you complete the same Campaign as a Charmer Elf on high (Hero) difficulty. Your efficiency rate is 100%. For this you earn an additional 120 * 1.2 = 120 guild points. Then you level up to CL 16. You may complete the same Campaign as Charmer Elf again, and you would earn experience points, skill points and other rewards, but you would NOT earn any more Adventurers’ Guild points no matter what score you get. However, if you complete the Campaign as a regular Elf and get a higher score than you did originally on CL 15, you can earn additional guild points: up to 10 extra points if you choose Combatant difficulty (100 - 90), or up to 30 extra points (120 - 90) if you choose Hero difficulty. The grand walls of the Leaders’ Guild offer all Lords and Ladies of combat level 5 or higher the opportunity to prove their full leadership potential, both for their own benefit and that of the Empire, and lead their followers to everlasting glory. In order to perform Guild tasks, the Heroes need to gather their army. Once every five battles for which the acquired skill points are not less than 0.3 and artifacts deteriorate, a random stack of creatures will join you. The total leadership value of the creatures that join you depends on whether the battles were won and how much AP was worn. 1. Each Lord or Lady can form an army from the detachments of followers available to them and send them to complete special challenges. 2. The number of creatures recruited depends on your leadership capacity and the leadership value of the creatures. Your leadership capacity is determined by your level in the Leaders’ Guild. 3. The total leadership value of one recruited creature type cannot exceed 40% of your leadership capacity. 4. A maximum of three challenges, or four challenges with the Abu-Bakir’s Charm, are available to you at a time. Challenges are replenished at the rate of one every three hours until they reach the maximum number. 5. In any challenge there are three levels of difficulty; the more difficult the opponent, the more gold and Guild points you can earn. 6. Having lost a challenge at one of the levels of difficulty, you may still try to win the challenge on a different difficulty. 7. Upon completion of a challenge, a new one, if available, will be presented. A challenge is considered completed if you win it at any difficulty level, lose it at all levels of difficulty, or skip it. 8. Fights take place without artifacts, skills, or participation of your character. After placing the units, if you wish, you can activate automatic combat. 9. You do not receive experience and faction skill points in these battles, and artifacts do not wear out. 11. The higher your guild level, the higher the likelihood of rarer troops joining you. 12. You can exchange a troop of followers for a random higher-rarity troop of the same faction. Only 50,000 leadership-value worth of creatures may be exchanged at a time. 13. As we develop Leaders’ Guild, new types of challenges will be issued and large-scale events will be conducted.